Microsoft's Siri rival Cortana is currently exclusive to Windows Phone, despite plenty of speculation that she should have moved beyond her home base by now. But that will happen soon enough, judging by comments Microsoft made during a briefing with analysts and journalists recently. Microsoft Chief Experience Officer Julie Larson-Green took the opportunity to touch on some of the many things Cortana might do beyond her basic smartphone functions. When asked if that means Cortana is on her way to other platforms, she responded, "the short answer is yeah." She wouldn't reveal any more details, but that's pretty unambiguous. 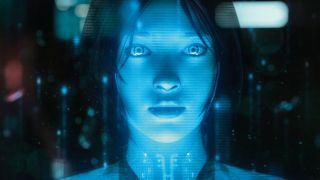 It won't be surprising at all to see Cortana in Windows 10, but where she might venture beyond that is a mystery we're eager to see solved.